Our cosmetic dentistry practice, serving Astoria and surrounding communities, is committed to providing unparalleled dental care to our patients. We believe each of our patients deserves healthy, beautiful smiles, and have all the services available on-site needed to help you achieve this goal. Reach out to our office today to schedule an appointment. You don't want to trust just any dentist to care for your smile. You want a dentist with experience and professionalism, supported by a friendly staff in a warm, welcoming atmosphere. If you are searching for a dentist around Manhattan, look no further. The Astoria Dental Group treats patients as part of the family. Drs. Clifford Degel and Carmen Every-Degel have the expertise to administer a wide array of dental treatments, designed to give you the smile you want, and keep your oral health in top condition. You can walk into our Astoria general, restorative and cosmetic dentistry practice confident that your needs will be well met. 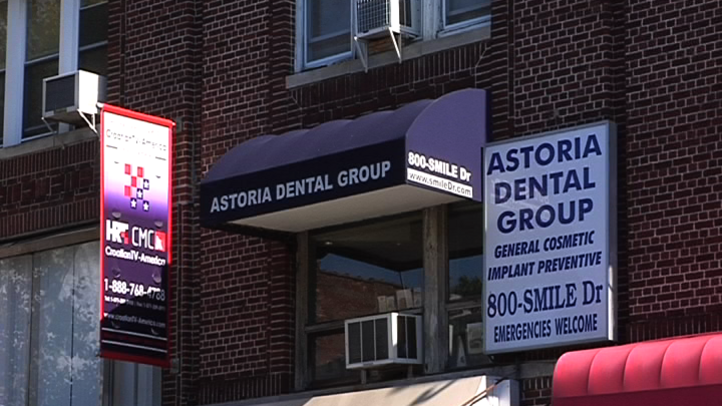 Contact our Astoria dental practice today to schedule an appointment. Dr. Degel explains what makes the Astoria Dental Group unique. We are convenient to Manhattan and to the train, as we are just a couple of blocks down from the N train right on Broadway. We have a wonderful reception area, the latest technology, and an on-site lab which can help speed up the dental process for our patients. Watch this clip and see what else sets us apart! Are you missing teeth? Have dental implants, dentures or a dental bridge placed. Do you have misaligned teeth? Consider Invisalign® or porcelain veneers. Do you have stained or discolored teeth? Whiten your teeth with Zoom!® or BriteSmile® teeth whitening. Do you have facial wrinkles or lines caused by age? Choose BOTOX® Cosmetic. Do you have a number of dental concerns, and want a completely renewed smile? Explore your smile makeover options. Regardless of your needs or requirements, we can find a solution. Our goal is to get you to smile more, and to feel more secure knowing that you have healthy teeth. You don't have to travel far for a perfect smile. Come in for a visit, and begin your journey to an even more stunning smile and healthy mouth. Contact our Astoria cosmetic dentistry practice for more information, or to schedule an appointment. A representative will answer your questions and provide you with guidance to determine which procedures are right for you.